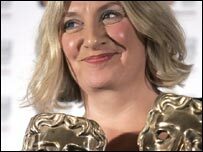 From the soup-eating habits of the middle classes to the application of face cream - a pioneering study of everyday life in Britain is celebrating its 70th birthday... and was the inspiration for Victoria Wood's double Bafta-winning drama. A common criticism levelled at reality TV shows such as Big Brother is how they have fetishized the tediousness of daily life and turned it into a spectator event. 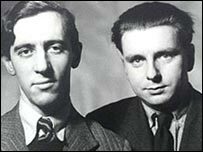 But, as far back as 1937, the belief that mundanity had a currency for historians spurred three young men to start an ambitious and radical project. When Mass Observation began, members of the public were invited to help with a new research project on daily life in Britain - a "science of ourselves". As well as asking volunteers to keep diaries, Mass Observation's researchers interviewed people in the street, listened in to conversations, and observed public behaviour in places like pubs and factories. It wanted to thwart the tendency in modern society to live our daily lives deadened by habit, "with as little consciousness of our surroundings as though we were walking in our sleep". Mass Observation, or MO, churned out millions of words on mundane subjects such as filling in the football pools, the contents of sweet shop window displays and the way that smokers held their cigarettes. For a brief period, Mass Observation's interest in our daily lives captured the public imagination. One of its early books, simply called Britain, shifted 100,000 copies in its first 10 days. After World War II, though, the project petered out as its volunteers dispersed and its founders moved on. For years MO's findings were largely forgotten. But 70 years after it began, it is re-entering public consciousness - and Victoria Wood's ITV drama is not the only sign. The Magazine is compiling a People's History of Modern Britain - send your memories of the 1960s, in text, pictures or short videos. Some of the other diaries written by MO volunteers during and just after World War II have been collected in three bestselling anthologies by Simon Garfield. Such writings seem to anticipate our current interest in personal testimony, be it ghost-written celebrity autobiographies or memoirs of ordinary people. The MO archive at the University of Sussex has also informed books such as David Kynaston's Austerity Britain, 1945-1951, which is currently riding high in the bestsellers' lists, and Jon Savage's recent Teenage: The Creation of Youth 1875-1945. These files are the perfect resource for the growing trend for "history from below" - the story of ordinary people rather than of political and cultural elites. But MO's observations can also teach us something about our own lives today. One of its original aims was to challenge what it called "the voicelessness of everyman". It wanted to make ordinary citizens' lives and opinions better known to the people who governed them. When it began in the 1930s, opinion formers made no real attempt to find out the views of voters. Ordinary people were rarely seen or heard on film or radio. MO's founders were annoyed by the lazy assumptions about "the man in the street" by the media and political elite - "a tiny group, with different habits of mind, ways of life, from those millions they are catering for". MO's most significant legacy is that it made ordinary people visible and audible, perhaps for the first time. Nowadays, ordinary folk are seen everywhere, from reality TV shows to street-corner vox pops. Their opinions are endlessly canvassed about everything from political leaders to ice-cream flavours. So it's fitting that MO is still going - revived in 1981 with a smaller-scale version of the panel of volunteer-diarists. These people, who number about 400, continue to send in their writings today, in response to questionnaires about mundane subjects such as junk mail, the National Lottery and, most recently, the ban on smoking in public places. Joe Moran's book Queuing for Beginners: The Story of Daily Life from Breakfast to Bedtime was partly inspired by the Mass Observation project, and has just been published by Profile. It was the decade of the Beatles, the Post Office Tower and the UK's first shopping centres. Send your memories of the 1960s using the form below.